As an immigrant millennial, I have had a complicated relationship with the idea of homeownership. As an immigrant daughter, homeownership was (and still is) my parents’ American dream for me. As a millennial in the Bay Area, the dream seems to be out of reach. I grew up in South Hayward. Today, many perceive it to be a nice place to buy a home. However, growing up, I saw gang violence and deaths at the local Jack in the Box, and I could not wear certain colors to school. Yes, it has changed. It is still not perfect. What strikes me, though, is how many of the folks I grew up with are faced with the following question: Do I live at home and save to maybe one day buy a home, or do I spend money on rent – postponing the already long journey to homeownership? I am incredibly grateful that my own parents were able to buy a home in 1999 with my uncle and his family. It took four salaries and years of savings for my parents to qualify for a mortgage in 1999. Today, that would not have been possible; the American Dream would have simply remained a dream. It’s been about 20 years, and our family is still paying down a mortgage. My brother and I have decided to live at home and support our parents while saving additional funds to one day own our own homes in the Bay Area. Both of us have friends living with their parents who are renting with the fear of eviction looming over them as more folks are looking to buy in the East Bay. “In 2015, the average net worth of a homeowner was $195,400, compared to just $5,400 for a renter, according to the Federal Reserve.” This statistic is one of many reasons why I am grateful for what my parents were able to do: create a foundation for my brother and me to continue to build. Many of our friends are still struggling to even envision themselves owning a home one day – especially our friends who work in education. My parents never taught my brother and me about the ins and outs of the responsibilities that come with making money. Homebuying is complicated, and finances are messy. After graduating college, I found myself serving as a City Year Corps Member in Boston in Mattapan. From there, I decided to come back home aspiring to work towards educational equity in my own communities as a staff member at Teach For America. I quickly learned that our educators spent most of their times in their schools, yet were unable to afford rent in Bay Area neighborhoods. Educators wanted to stay in the classrooms they started in but felt the need to move to different cities and states to be able to start a life. Working at Landed has taught me so much about homeownership and how it is a path to building financial security. Homes appreciate in the long run: the home my parents bought in 1999 is worth much more today. Furthermore, unlike a savings account (which I may pull from during “emergencies”) buying a home is truly forcing your savings into an appreciating asset. Owning a home helps you put down roots, and I believe those who serve our students should be able to do so. Our students deserve to have consistency when it comes to who is in their school building rooting for them. This is why I’m thankful for Landed – for being one of many solutions to the teacher retention problem our schools are facing. Today, I feel grateful to be able to talk to them about titles, types of financing, property reviews, etc. I am able to generate different options for the folks I care about working in education, helping them find pathways to buying a home – no matter what stage of the process they’re in. Thank you Mom, Dad, and Landed for helping me feel like my immigrant millennial dream of homeownership is attainable. For all of those who are working in schools reading this, don’t hesitate to reach out – we want to support you no matter what step of the process you’re in as it relates to building financial security. Annie Vasishta is on the Customer Experience team at Landed. 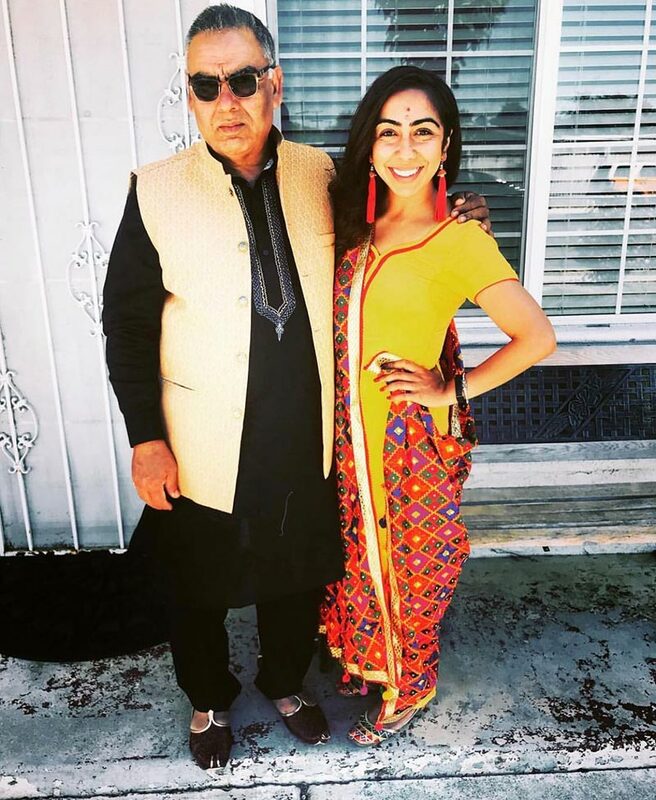 Since moving to the United States from Punjab, India at a young age, Annie connects her roots from her motherland to the community of South Hayward, where she grew up. Before Landed, Annie worked for City Year in Boston and Teach For America Bay Area.